Japan dominated the Singapore Open with four finalists and three winners, but the top-ranked Singles players in the world impressed with wins by Kento Momota and Tzu Ying Tai. 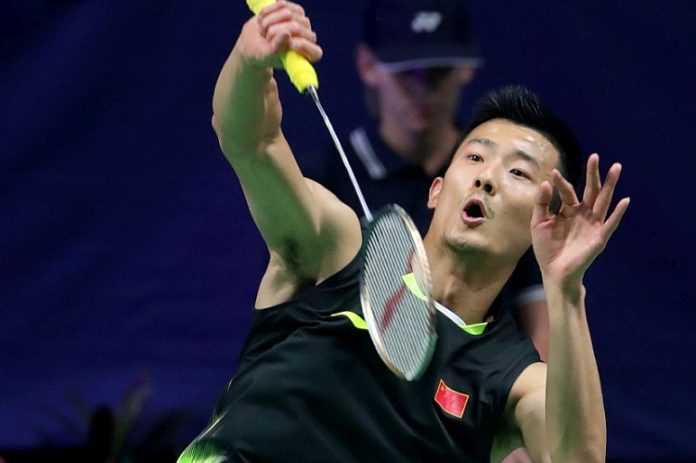 Japan’s Momota won his third title of the 2019 season, having taken the All-England Open and the German Open, but he had a tough time with Indonesia’s Anthony Ginting, who won the first set, 19-10. But Momota gathered himself, tied the match with a 21-19 win in the second set and then took the third set by 21-13. “This was a match I was losing,” admitted Momota. “Ginting was playing at a higher level in the beginning, but possibly he started getting tired later on and that gave me opportunities. Tai (TPE) took the Malaysia Open last week and won the final in Singapore in a battle with no. 3 Nozomi Okuhara (JPN), winning a tight first set by 21-19 and then 21-15 in the second set. It was also her second Singapore Open title, having won in 2017. Men’s Singles: 1. Kento Momota (JPN); 2. Anthony Sinisuka Ginting (INA); 3. Tien Chen Chou (TPE) and Viktor Axelsen (DEN). Semis: Ginting d. Chou, 21-17, 18-21, 21-14; Momota d. Axelsen, 21-15, 21-18. Final: Momota d. Ginting, 10-21, 21-19, 21-13. Men’s Doubles: 1. Takeshi Kamura/Keigo Sonoda (JPN); 2. Mohammad Ahsan/Hendra Setiawan (INA); 3. Marcus Fernaldi Gideon/Kevin Sanjaya Sukamuljo (INA) and Junhui Li/Yuchen Liu (CHN). Semis: Kamura.Sonoda d. Gideon/Sulkamuljo, 13-21, 21-10, 21-19; Ahsan/Setiawan d. Li/Liu, 21-11, 21-14. Final: Kamura/Sonoda d. Ahsan/Setiawan, 21-13, 19-21, 21-17. Women’s Singles: 1. Tzu Ying Tai (TPE); 2. Nozomi Okuhara (JPN); 3. Akane Yamaguchi (JPN) and V. Sindhu Pusarla (IND). Semis: Tai d. Yamaguchi, 15-21, 24-22, 21-19; Okuhara d. Pusarla, 21-7, 21-11. Final: Tai d. Okuhara, 21-19, 21-15. Women’s Doubles: 1. Mayu Matsumoto/Wakana Nagihara (JPN); 2. Hye-Jeong Kim/Hee Yong Kong (KOR); 3. Xuanxuan Liu/Yuting Xia (CHN) and Yuki Fukushima/Sayaka Hirota (JPN). Semis: Matsumoto/Nagihara d. Fukushima/Hirota, 21-18, 21-17; Kim/Kong d. Liu/Xia, 21-15, 21-15. Final: Matsumoto/Nagihara d. Kim/Kong, 21-17, 22-20. Mixed Doubles: 1. Dechapol Puavaranukroh/Sapsiree Taerattanachai (THA); 2. Kian Meng Tan/Pei Jing Lai (MAS); 3. Hafiz Faisal/Gloria Emanuelle Widjaja (INA) and Siwei Zheng/Yaqiong Huang (CHN). Semis: Tan/Lai d. Faisal/Widjaja, 21-16, 20-22, 22-20; Puavaranukroh/Taerattanachai d. Zheng/Huang, 24-22, 21-19. Final: Puavaranukroh/Taerattanachai d. Tan/Lai, 21-14, 21-6.